On March 1st Induchem Group were a proud sponsor of the Cork ARC Spring Ball in association with FloorTech and Sunshine & Umbrellas, which was held in The Clayton Hotel Silver Springs. The aim of the fundraiser was to raise money for Cork ARC’s new premises, Sarsfield House, which is in need of major refurbishment. Sarsfield House is a much bigger premises, and will allow Cork ARC to accommodate the rising demand for support services for cancer patients and their families. The new premises will hopefully be fully operational from Autumn of this year. This ball was to raise awareness of the “Make Room for Cork ARC” campaign which aims to provide comfort and safety for those affected by a cancer diagnosis. The ball succeeded in kickstarting the fund that will enable Cork ARC to grow and develop. 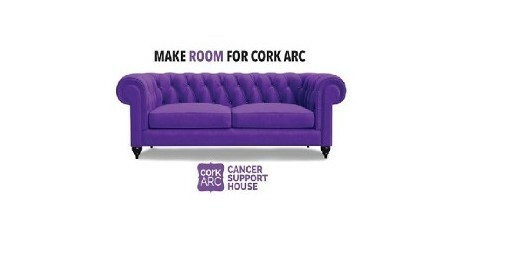 The next phase at Sarsfield house will set the scene for the future of cancer support in Cork city and county and all who travel to Cork for treatment and related services. A fantastic night was had by all involved.